Note: This question is specifically about installed, desktop software. There is another question specifically about free cloud-based software and services. I'm not necessarily referring to ESRI extensions or open-source products, but others that increase your productivity and ability to handle GIS tasks. Notepad++ for writing code snippets or editing XMLs. Paint.NET or GIMP for quick graphic editing. I use Google Tasks daily and I think it's worth mentioning. It's not GIS-specific, but it's a great tool, especially if used independently and on multiple projects where purchasing time-management software isn't reasonable. While it's not focused on GIS development, Rainmeter has proven to be very useful in terms of increasing productivity and monitoring system resources. I have created a GIS "sidebar" on my desktop that holds all of my development tools, as well as links to the online resources I used the most. It's nice to be able to use one location, rather than many (e.g. taskbar, bookmarks in browser, search engine). This question has been converted to Community Wiki and wiki locked because it is an example of a question that seeks a list of answers and appears to be popular enough to protect it from closure. It should be treated as a special case and should not be viewed as the type of question that is encouraged on this, or any Stack Exchange site, but if you wish to contribute more content to it then feel free to do so by editing this answer. Oracle SQL Developer, for poking around the back end of ArcSDE, running queries, etc. LightShot, for quickly taking and uploading screenshots, or GreenShot which is similar but quite a bit more powerful/customizable (thanks @Mike Toews for mentioning it in one of the comments). UnxUtils - For a lightweight (native Win32) port of common GNU utilities like "tail" and "grep". Tail is great for displaying log files in realtime, while grep is a powerful (regular expressions-based) text search tool. Copy Path - A shell extension for Windows XP, Vista, 7, etc. 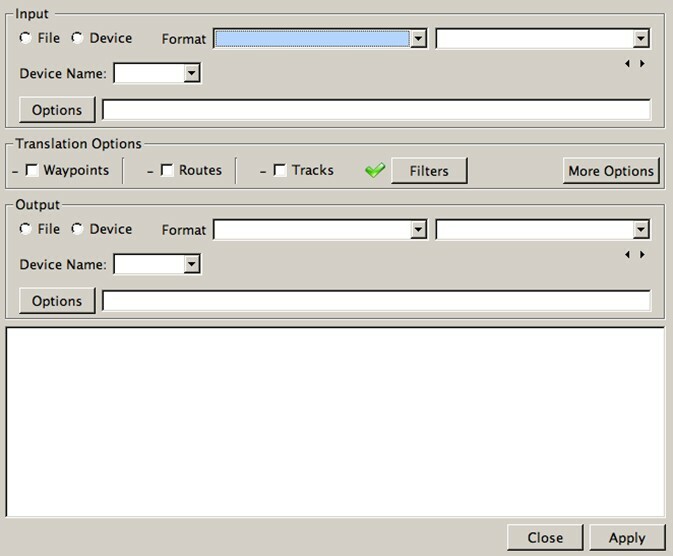 that adds a "Copy Path" context menu item to files and folders in Windows Explorer. Makes short work of finding the full path (and also normalizes to UNC paths if it is on a mapped network drive). Great timesaver! QGIS. Although I do most of my analysis using ESRI based tools, QGIS is extremely fast for quickly examining a shapefile, and zooming/panning/reading the attributes. I don't mean this in a derogatory way, as QGIS is also a wonderful open-source desktop GIS; but for quick file opening/closing it's wonderful and the quickest I've found. ... and I become curious about the mapservices it uses. I can fire up Fiddler and see what Urls it is accessing. I notice that as I add census blocks to a district, it simply does a query; it does not make a call to a geometryservice to union the blocks into a district as I would have expected. From this I can infer that Esri is holding back on us: somewhere in the client there must be code that unions geometries - but there is no such capability documented in the web SDK api. 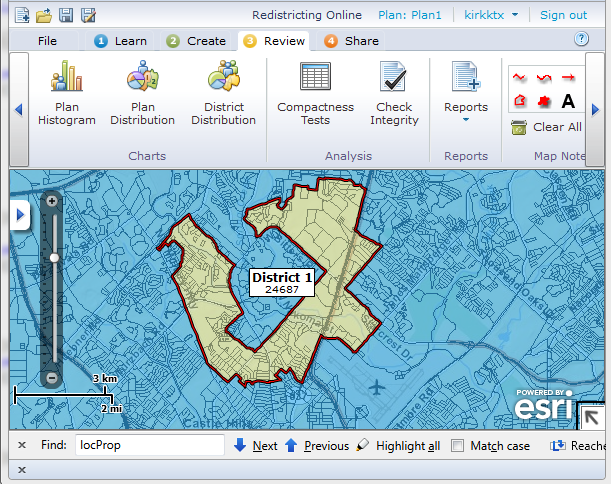 Since there's no message on the root page of their redistricting mapservice saying I shouldn't use it, I guess I'm free to use it in my own app ... or at least until they implement the idea I've suggested. SAGA is also free and opensource like QGIS, but it is focused on raster data analysis and processing. File access: interfaces to various table, vector, image and grid file formats, including shapefiles, Esri grids (ASCII and binary), and numerous grid file formats that are supported by the GDAL library, in addition to the native SGRD format of SAGA GIS. Filter for grids: Gaussian, Laplacian, multi-directional Lee filter. Geostatistics: residual analysis, ordinary and universal kriging, single and multiple regression analysis, variance analysis. Grid calculator: combine grids through user defined functions. Grid tools: merging, resampling, gap filling. Image classification: cluster analysis, box classification, maximum likelihood, pattern recognition, region growing. Projections: various coordinate transformations for vector and grid data (using Proj4 and GeoTrans libraries), georeferencing of grids. Simulation of dynamic processes: TOPMODEL, nitrogen distributions, erosion, landscape development. Terrain analysis: geomorphometrical calculations such as slope, aspect, curvatures, curvature classification, analytical hillshading, sink eliminition, flow path analysis, catchment delineation, solar radiation, channel lines, relative altitudes. Vector tools: polygon intersection, contour lines from grid. According to the users it can partially replace commercial tools like Spatial analyst in ArcGIS and some people say, that the hydrological tools are even better than ArcHydroTools. In my opinion it is good choice for people who are not familiar with GRASS and who need user friendly and free solution which can share data with other GIS tools. I use it together with QGIS and it works really nice - SAGA for raster data, QGIS for vectors and final map finishing and for quick mapping. I use these two for cartographic purposes. Gimp has good raster support (until they get huge/GB in size, then you run it on a linux OS!) and Inkscape handles vectors really well. ColorBrewer allows you to pick effective, attractive color schemes based on number of classes, data types (e.g. sequential or qualitative), and many optional parameters. It also allows you to preview the color scheme with common features such as roads and city names, and export the scheme for (relatively) easy use in your software or code. 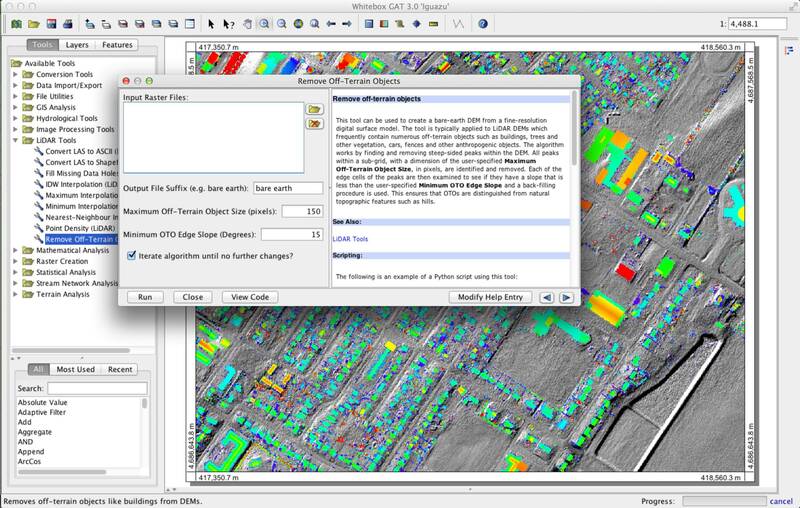 ColorBrewer's ramps can be installed to QGIS and ArcMap through symbol packages and add-ins. 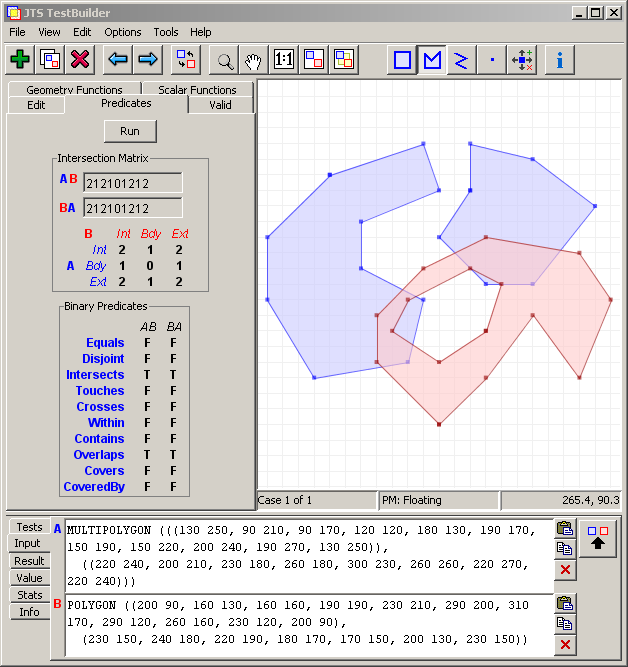 JTS Topology Suite, particularly JTS TestBuider (for Windows users, make a Shortcut to C:\Program Files\JTS\jts-1.11\bin\testbuilder.bat). With JTS TestBuilder, you can copy/paste WKT or WKB into the geometry inputs, and debug a geometry (especially if it is invalid and you want to know why) or explore spatial functions and spatial predicate operators, etc. Most of the functions developed in JTS trickle down to GEOS, Shapely, JSTS, NetTopologySuite, etc., so it is a good graphical tool to work with. Like it as you can edit webpages online and see the changes instantly without re-uploading files. This with Fiddler (mentioned already in this community wiki) are very useful and time-saving tools. RStudio is a powerful IDE with debugging and improved data handling for R.
Color Oracle - a colorblindness simulator for Window, Mac and Linux. I use this for checking the "look" of my composed maps. Eclipse and PyDev for Python coding - the latest version (finally) allows you to run a script without it being in the project, and has some other great features as well (break on exception etc.). That and the almost unlimited other number of extensions that you can install in Eclipse. Git for version control. Free, easy, and you don't need to install any software on the server. TrueCrypt for storing sensitive data by creating an encripted volume with a whole bunch of security options. I wonder why MAPNIK has not been mentioned yet. It is also pluged in to QGIS. Very nice tool for easily making astonishing looking maps. The Gdal command line tools are quite useful. cat my-insanely-complex-xml-file.xml | xpath "//Placename/text()"
Irfanview - for making simple image edits, such as cropping screenshots. Much more useful than MS Paint, and batch image processing! 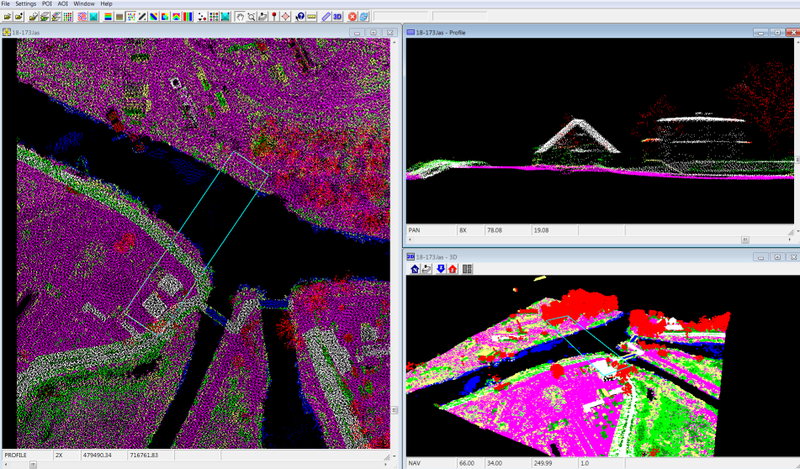 FugroViewer - Fantastic program for viewing LIDAR data saved in LAS files. It has 2D, 3D and profile view. You can symbolize dots with all attributes stored in LAS files along with RGB colors. Notepad++ as well as the extra settings from TWIAV.nl especially the code highlighting. Came in very handy after changing server structures as all our .wor files were broken. One short find and replace later and everything works! Self-link, but TileMill is very useful for exploring geodata, making pretty maps, doing analysis, etc. It's mainly for the presentation and exploration steps, while the heavy-lifting of analysis can be done in QGIS or similar. Access ready-to-use ArcGIS Online basemaps and layers. Fuse your local data with map services to create custom maps. Add photos, reports, videos, and other information to your maps. Perform spatial analysis (e.g., visibility, modeling, proximity search). Whitebox Geospatial Analysis Tools (http://www.uoguelph.ca/~hydrogeo/Whitebox/) is an open-source GIS and remote sensing package that has extensive analytical capabilities. It runs on MS Windows, Mac OSX, and Linux. It has a user-friendly and intuitive user interface, extensive embedded help, and the ability to make cartographically pleasing maps. I'll add TileMill to the list. It's an easy way to put map on the web. Mapbox have a free plan that can do for most small users. I must have missed it, but PostgreSQL/PostGIS is a must too! ColorCop for determining and matching web colors. soapUI is a really good tool for testing SOAP and REST web services. It's designed more for building extensive test suites, but it's also a fairly quick way to run simple one-off calls to your web services. If you want to work with SONAR data SonarWave Lite is a free solution. It was referenced on this thread on GIS SE. GPSBabel to convert waypoints, tracks, and routes between popular GPS receivers and mapping programs. TatukGISViewer is great for quick viewing of raster and vector files. I work with both ESRI and MapInfo which forces me to do tons of converting .tabs to .shps or the other way around. Tatuk is great because it handles both formats, just drag-and-drop and they all show up nicely. It also truly shows the geographic location of the data if two datasets have different coordinate systems (I don´t like ESRIs automatic compensationing). Here it is another solution: Geobide SDK a set of components for the development of gis professional applications. Free versions of the tools are available. This free and open-source tool is awesome for cleaning up messy data. I typically use it for fairly simple operations like concatenation, trimming, replacing one character with another, removing spelling mistakes, etc. One of my most common use cases is grouping similar items via the clustering tools. This is great for finding spelling mistakes or abbreviation problems (e.g. Road, road, rode, rd, rd.) and changing them all to a single correct value. Having clean data makes database operations and definition queries MUCH simpler to perform. You can even "record" the operations you've performed on a set of data for reuse on the next bit of messy data you encounter. I don't use anywhere near the full potential of this software, but I find it easy to pick up and use for the simple tasks I've described. Here are some screencasts that touch on some of the more advanced operations. Oh yeah, you can also use it for geocoding! The project has moved from HERE to GitHub. OpenRefine is a power tool that allows you to load data, understand it, clean it up, reconcile it internally, and augment it with data coming from Freebase or other web sources. All with the comfort and privacy of your own computer. The wiki has everything you need to know including download links. 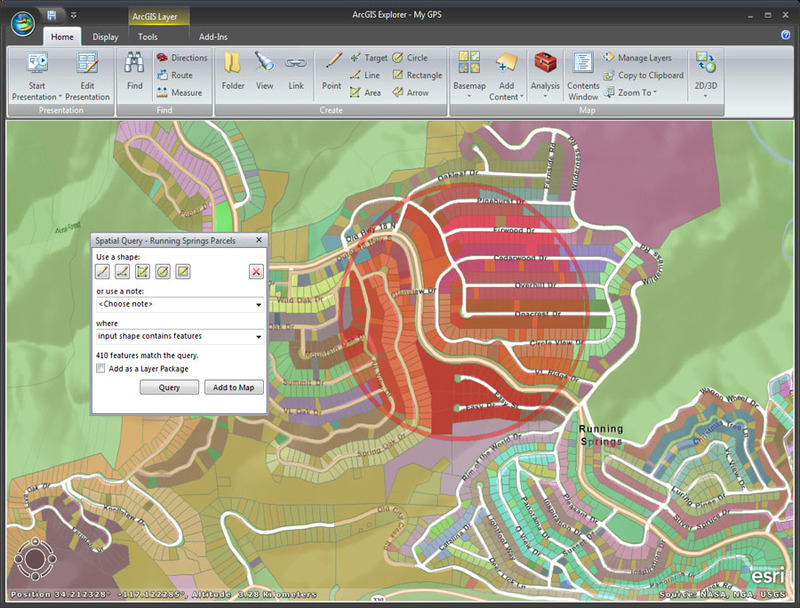 Which offers some great tools and features for statistical and spatial analysis. Not the answer you're looking for? Browse other questions tagged open-source-gis software-recommendations free-software or ask your own question. 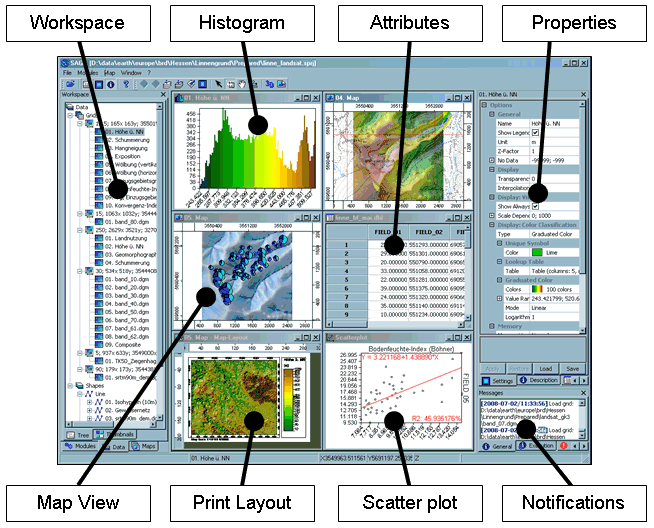 What software do you use as complementary to your GIS desktop/server? Where can I find the finest granularity of 2010 US census population information? How does MYSQL accept the WKT representation of a polygon with holes? Is the software used in the “seabed UFO” video GIS software? If so, what is it? Is there a standard st_relation_readable() function for translate DE-9IM strings? Given a shapefile, how can I return the polygon containing a lat/lon location? free GIS software that can orthorectify? Finding pseudo nodes in free GIS software? Seeking free web GIS browser? FAHP/AHP for GIS in free software? What free software can be used for print-quality map production? What GIS program should I use to create this map?